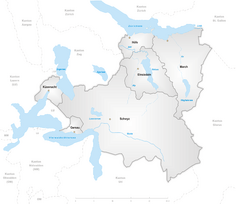 In Switzerland each Canton is free to decide its own internal organisation. Because of this there many types and names for smaller administrative divisions in each canton. The term District is used for these smaller divisions. Most Cantons are divided into Bezirke (German for districts). 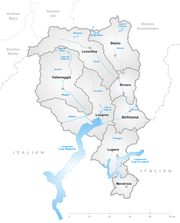 Some are called Ämter (Lucerne), Amtsbezirke (Bern), district (in French) or distretto (Tessin and part of Graubünden). The Bezirke generally only deals with administration and court organization. 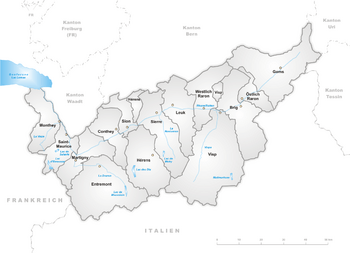 The cantons Graubünden and Schwyz are their own legal entities. They have the power to control taxes as well. Uri, Obwalden, Nidwalden, Appenzell Ausserrhoden, Glarus, Zug, Basel-City and Geneva. Schaffhausen stopped using Bezirke in the middle of 1999. 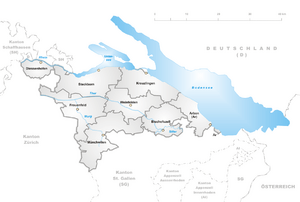 Since the start of 2003 Canton of St. Gallen does not use the Bezirk level any more. 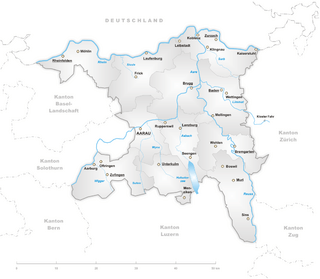 The Canton of Zürich is divided into 12 districts (German: Bezirke). The city of Zürich is its own district. Canton of Uri is not divided into districts: the municipality is the next lowest unit of government. 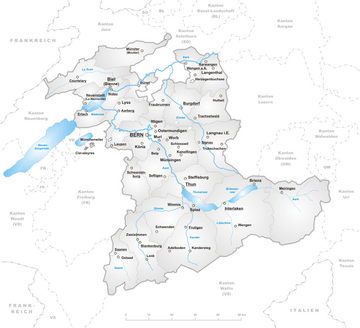 The Canton of Schwyz is divided into six districts and 30 municipalities, although the districts Einsiedeln, Küssnacht and Gersau simply comprise the municipality of the same name. 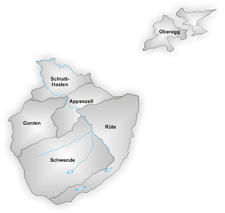 Obwalden is not divided into districts: the municipality is the next lowest unit of government. See: Obwalden. 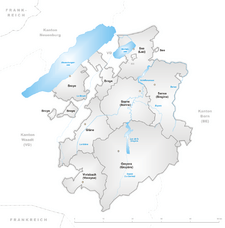 Nidwalden is not divided into districts. Canton of Glarus is not divided into districts: the municipality is the next lower unit of government. 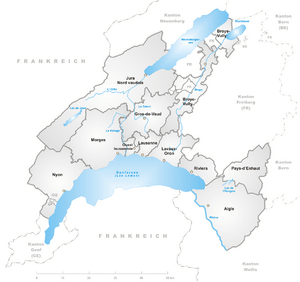 Canton of Zug is not divided into districts. 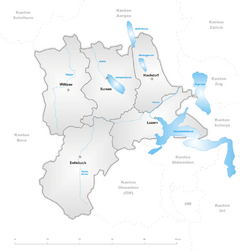 From 2005, Solothurn's ten districts are combined in pairs into five electoral districts, called Amtei. From 2005, districts are only used for statistics. Basel-City is not divided into districts. It is formed only of the city of Basel and two municipalities. 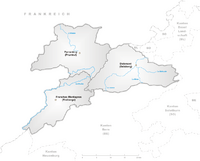 The Canton of Schaffhausen used to be divided into 6 districts (Bezirke) until July 1999. The municipality is now the next lower unit of government. Canton Appenzell Ausserrhoden is not divided into districts. The municipality is the next lower unit of government. Feuerschaugemeinde is a special-purpose municipality for firefighting, energy and water for the town Appenzell. The canton used to be subdivided into 14 districts (Bezirke) until 2003 January 1, when it was reorganised into 8 constituencies (Wahlkreise). 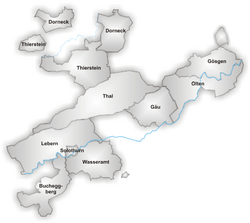 Aargau is divided into 11 districts. 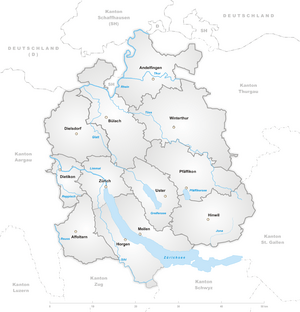 The Canton of Thurgau is divided into eight districts. Each district is named after its capital. 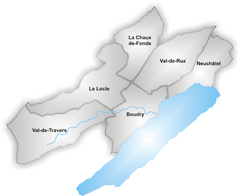 The Canton of Geneva is not divided into districts. The municipality is the next level of government. 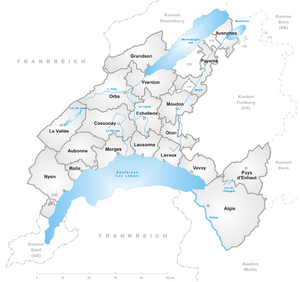 Map of Switzerland showing cantonal, districts and municipal boundaries (2016). Districts of Switzerland Facts for Kids. Kiddle Encyclopedia.